Gwen Pew speaks to three winners of this year’s prestigious President’s Design Award – Patrick Chia, founding director of the Design Incubation Centre at NUS, Pann Lim, creative director of Kinetic Design and Advertising (both of whom won Designer of the Year), and Edwin Low, co-founder of retailer/gallery SUPERMAMA, who won Design of the Year – whose works will be presented as part of an exhibition for all recipients at the National Design Centre for Singapore Design Week. First off, tell us a bit about your design projects. PC: I am proud of the work I’ve done at the Design Incubation Centre (DIC), which is recognised as one of the most progressive design laboratories in Asia Pacific. There were two innovative designs from the DIC – ‘Touch Hear’ (a device where you can listen to a word’s meaning by simply touching that word on a page) and ‘Roly Poly’ (a pair of ‘eggs’ that sense and mimic any movement imposed on each other, regardless of distance) – that were selected to be showcased at Museum of Modern Art (MoMA) in New York and at the SIGGRAPH Art Gallery in Vancouver. PL: Our designs for Maki-San and The Uu 3D Studio were cited for the award, but I think winning the PDA Designer of the Year is not just about winning an award; it is a joint celebration with the rest of my team at Kinetic. In our industry, no one works alone, so winning this is truly a team effort. 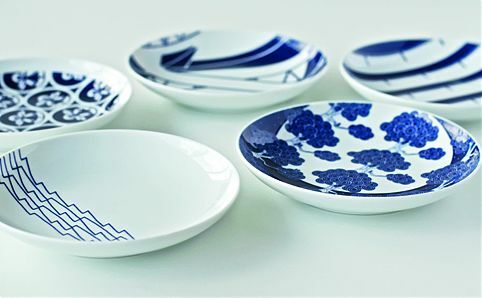 EL: SUPERMAMA initiated The Singapore Icons, a collection of porcelain wares created in collaboration with KIHARA INC, a porcelain label based in Japan. The intent of the collection is to identify new Singapore icons as alternatives to the Merlion – it’s part of a new label I’m creating called Democratic Society. How do you feel about the design scene in Singapore right now? PC: It is at a turning point where the designers are creating work that has a unique voice. PL: The current design scene is very vibrant. We have a lot of independent design studios opening and this leads to healthy competition. Subconsciously, everyone is working harder to ensure that their ideas are fresher and better than ever. This is indirectly raising the standards of our industry. I’m seeing more designed-in-Singapore products and books, as well as more art and design-related exhibitions. I am very optimistic about the growth in our design scene. EL: I think we are looking at the rise of a new breed of designers – the designer producers. They are designers, regardless of fields, who are creative enough to design and crazy enough to take on the business aspects of the trade. You will probably see more independent labels with a niche following popping up, even with designers still in full-time practice. What are your plans after winning the President’s Design Award? PC: I plan to create a new start-up in the technology, internet and device space, as well as devote time for my own design practice to create furniture and other irreverent objects. I also hope to start projects for the local small and medium enterprises, providing design strategy and direction. PL: My plans have always been the same – to do work that I believe in with an insight, and to create fresh and beautiful ideas that meet the marketing objectives. I am also looking at raising the profile and standards at Kinetic and ensuring that everyone in the team builds a better portfolio. Additionally, I want to share my knowledge with the younger generation because education is not exclusive, but should be shared. EL: We’ll launch a collection of individually handcrafted and mouthblown glasses, called Aspects, on 14 Mar at SUPERMAMA@8Q. We will also be celebrating our third birthday during the launch. That aside, I will be setting up an platform called NEXT for emerging designers, artists and illustrators to produce and launch their personal design collections.